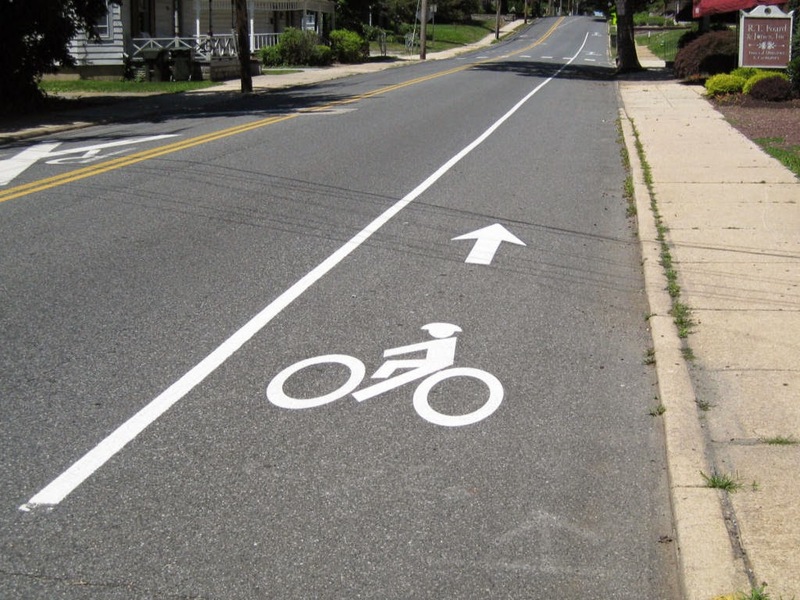 1st State BIKES: Newark Bike Lanes and Sharrows Phase 2 complete! "We are very happy with the installation, and recently went around to touch up the sharrows that were damaged by snow plows on Main Street. We are using a new product and are very happy so far, as the symbols go down very quickly and hold up fairly well (so long as we don’t have winters like this past year every year)"
Advocates have also been encouraging Newark to set aside part of their transportation budget each year specifically for Bicycle Plan implementation. Failure to do so will keep things moving at a much slower pace, given a total reliance on DelDOT to include facility treatments only with Pave & Rehab operations. But with the support of the Mayor, key City Staff, and City Council, the chances of dedicated funds should be excellent. It only makes sense; DelDOT has granted Newark permission to move forward with these improvements on their own, and for that we are grateful. 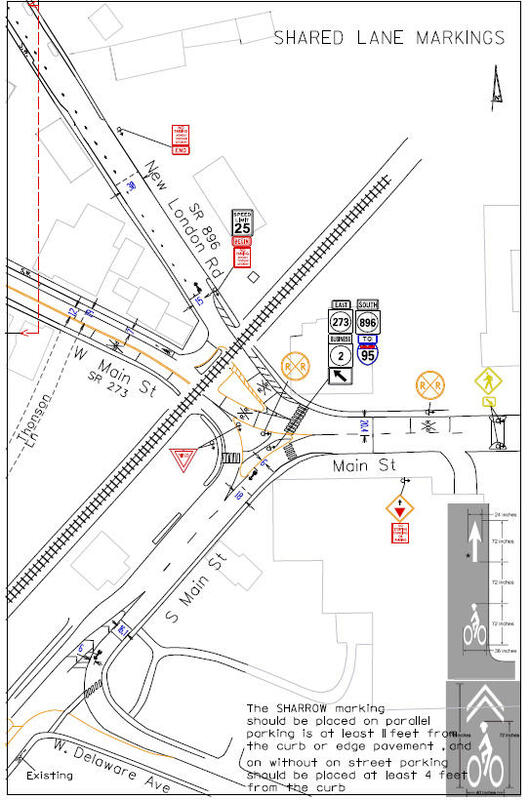 A huge tip of the helmet to all of those who worked together to make this happen, including Tom Meyer of DelDOT who assisted with the layout and drawings. Also, Representative Paul Baumbach, who secured the funds for all of Phase 2 materials. 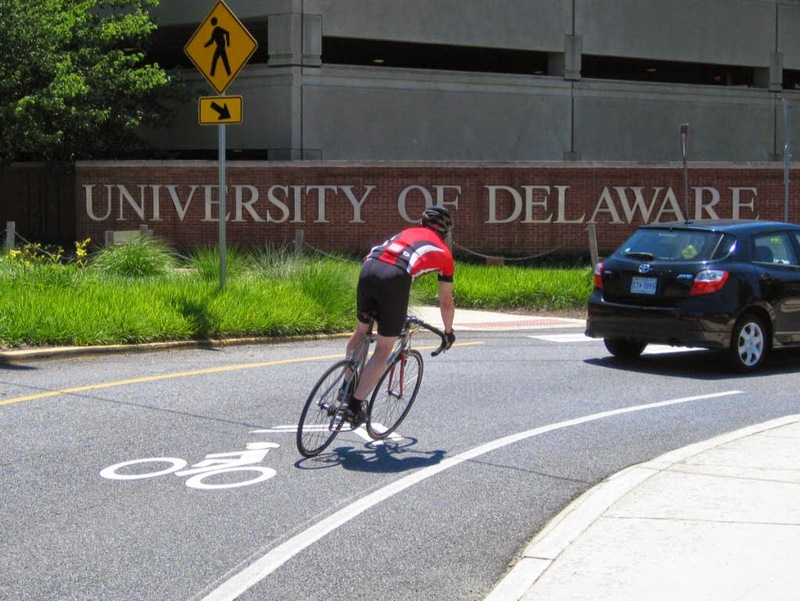 Newark's bicycle-friendly future has never been brighter! A brand new, plenty wide bike lane heads straight up West Main Street in Newark.